With an expected cost of more than half a billion dollars, Union Pacific Railroad's latest construction project is one for the record books. 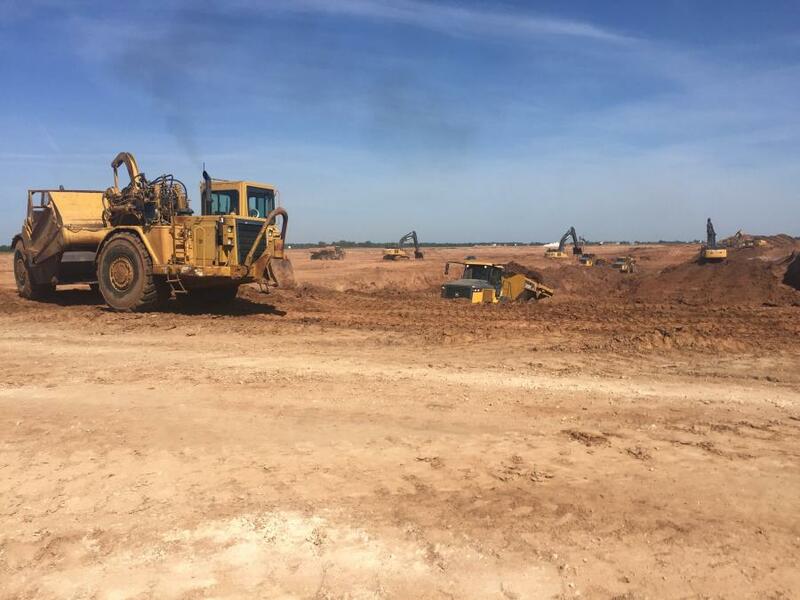 Work on Brazos Yard in Robertson County, Texas, began in January on approximately 1,875 acres. “At $550 million, Brazos Yard represents the largest capital investment in a single facility in the company's 155-year history,” said Jeff DeGraff, Union Pacific spokesman. “As the first yard of its kind built in more than a generation, it will showcase best practices in operating efficiency, technology and innovation. 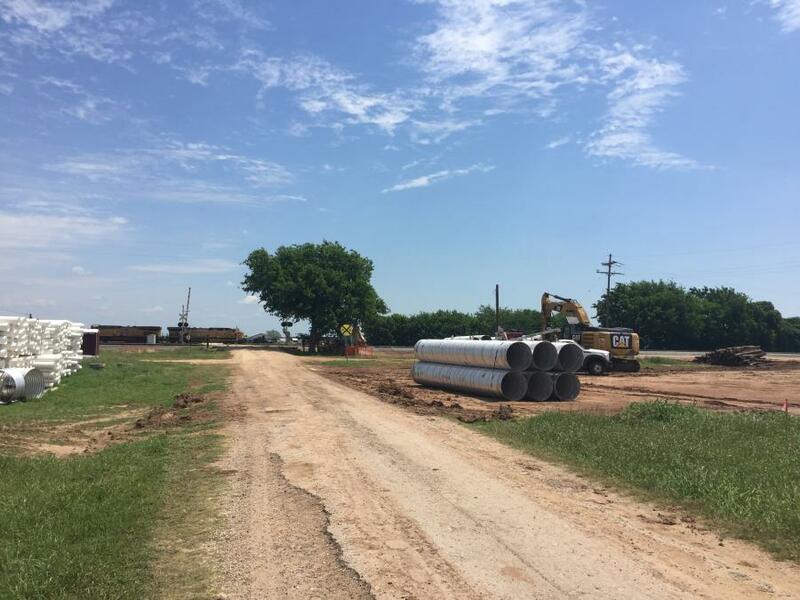 DeGraff said Brazos Yard construction is progressing with the earthwork for the track grade, road grade and drainage, adding that the economic benefits will be significant, once work is finished. “Union Pacific estimates 500 to 550 construction jobs will be created during the more than two years of this project. Once completed, the yard will have an impact across the region, with estimates of up to 1,200 direct or indirect jobs across the state stemming from activities associated with the yard. 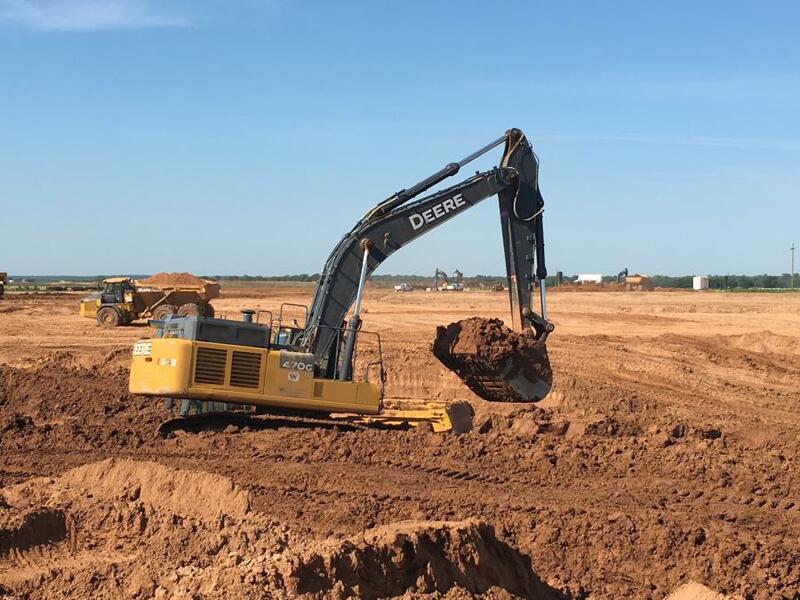 A study completed by Texas A&M University's Engineering Extension Service predicted the completed yard will contribute almost $260 million in annual total output for the state of Texas. The project is fully funded by Union Pacific. It is a capital investment with zero public dollars. “We started working on the project from a planning perspective about six years ago,” said DeGraff. “It's exciting for the team to see the project progressing. The last hump yard was built a generation ago, and Brazos Yard will play a key role in ensuring that Union Pacific's network continues to help the United States' economy grow. The engagement with the operating team also is exciting, as they prepare for the completion of the project and the opportunity to utilize the yard. DeGraff said the biggest challenge on site is the variability in the soils that have been deposited in varying layers and depths. “Managing the layers based on specified requirements is complex. In addition to the soils, the material delivery to the site is a coordination challenge based on the significant amount being provided by the owner via rail. These deliveries do provide a benefit by reducing the amount of truck traffic that would be required for the project. Some of the grading activities and ductbanks have been completed. Additionally, the first two track turnouts have been installed to allow construction of the initial material delivery tracks. DeGraff said when constructing a rail yard, key steps are similar to other large sites. According to DeGraff, a primary challenge is ensuring that a proper embankment is constructed, in order to establish a suitable grade for the track construction. As with any construction project, informing everyone affected by ongoing work is crucial. 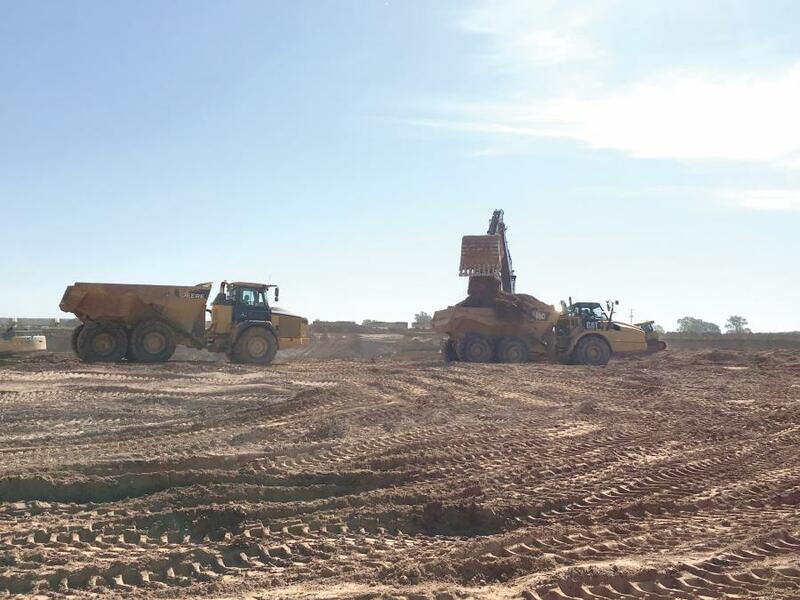 Remaining work includes establishing the material delivery tracks; additional track and bridge construction; completion of site utilities and the erection of buildings; and communication towers. In addition to the yard activities, crews still have construction work associated with the main line tracks and final power and water service to the yard has yet to be completed. DeGraff said the site consisted of agricultural fields and active oil wells. There are approximately 2.5 million cu. yds. of earthwork to be performed on the project. 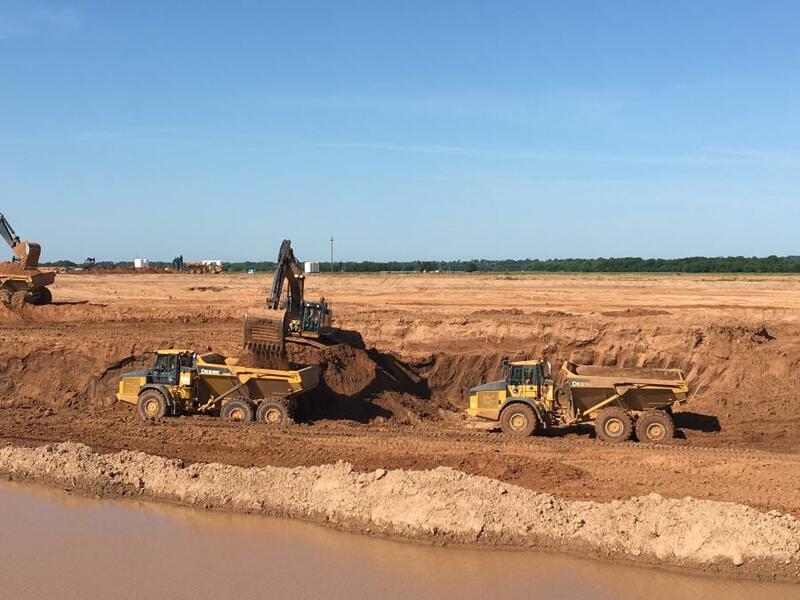 A large outfall channel between the yard and the Brazos River is being built to accommodate the drainage requirements. The channel is approximately 1 mi. long and 25 ft. deep. There also is a 25-ft. high hump that will need to be built to provide the grade required for the classification yard. This hump requires a settlement time period prior to future construction on it. In addition to the earthwork, there is approximately 1 million tons of aggregate base required for the project, prior to track construction. The main equipment being used for the earthwork includes excavators, dozers and off-road trucks. Large material demands are for the site buildings, 39 mi. of drainage and 72 mi. of track. Brazos Yard will have the capacity to switch up to 1,300 rail cars per day, making it one of the highest capacity yards on Union Pacific's network. Brazos Yard will function as a classification yard where rail cars are separated and sorted by destination before being assembled into new trains headed across the country. The site sits at the convergence of seven Union Pacific rail lines, making it a strategic point for freight rail traffic traveling north, south, east and west. Brazos Yard will support Union Pacific's customers who represent a wide variety of economic drivers across Texas, including cross border traffic, petrochemicals, consumer goods and plastics. Union Pacific Railroad is the principal operating company of Union Pacific Corporation, connecting almost two dozen states in the western two-thirds of the nation by rail, providing a critical link in the global supply chain. During the past decade, Union Pacific invested roughly $34 billion in its network and operations to support America's transportation infrastructure. The railroad's diversified business mix is classified into its agricultural products, energy, industrial and premium business groups. Union Pacific serves many of the fastest-growing U.S. population centers and lists about 10,000 customers. Completion of Brazos Yard is expected sometime in 2020.